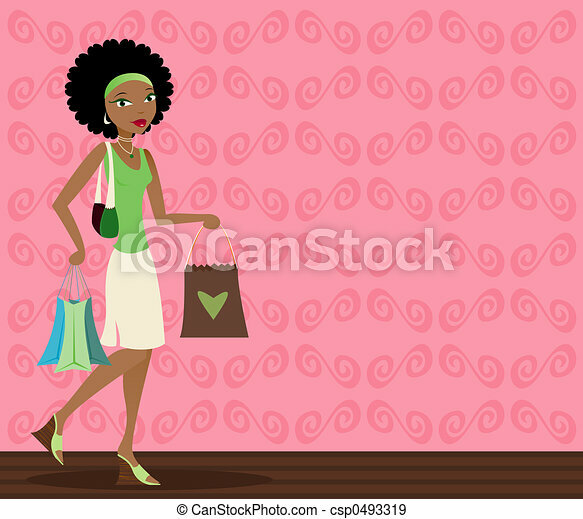 African-american shopper. 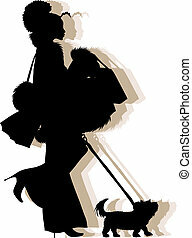 Stylish african-american woman with shopping bags in hand. 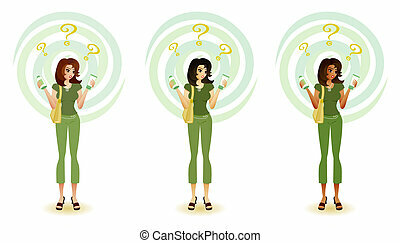 A confused shopper trying to make environmentally-friendly decisions when shopping for skincare products. 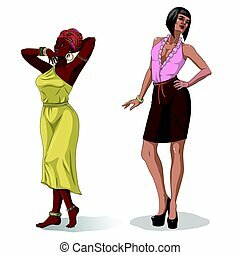 This illustration contains (from left to right) caucasian, oriental asian and dark-skinned versions of the lady shopper. 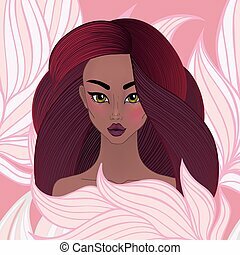 See my portfolio for supermarket and feminine themes of this illustration too. 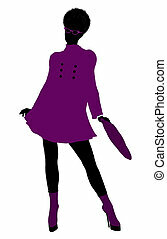 An african-american shopper holding hanger with suit jacket and shirt. 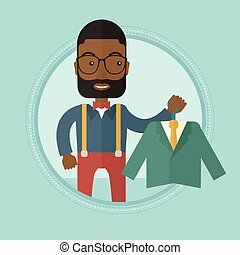 Shopper choosing suit jacket. Shop assistant offering suit. 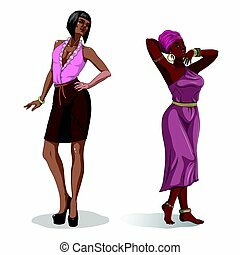 Vector flat design illustration in the circle isolated on background. 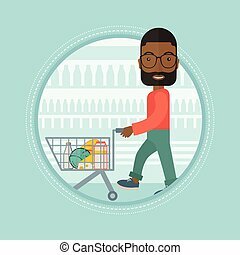 An african-american shopper walking with supermarket trolley at grocery store. Shopper shopping at supermarket with trolley. 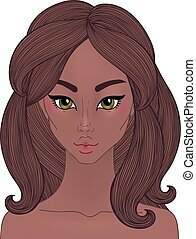 Vector flat design illustration in the circle isolated on background. 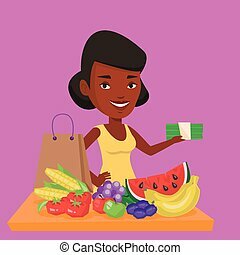 An african-american shopper standing at the table with grocery purchases. 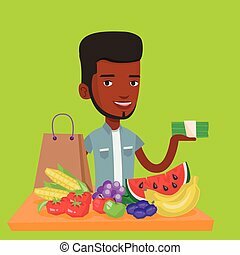 Young shopper holding money in hand in front of table with grocery purchases. Vector flat design illustration. Square layout.